· Saving money. This is the biggest reason why most people choose to build themselves. Even if you use a contract builder, the cost of building steel frame kit homes is still considerably cheaper than building a traditional home. · Time saving. Compared with traditional builds, these homes are much easier to build, and that means a lot of time saving. Everything you need to build your home comes with purchase. Make sure you plan your budget well because you may have additional requirements. Good planning will result in a build that is many times faster than a traditional brick home. · Strength and durability. This is another reason why these homes are increasing in popularity. In regions where harsh weather conditions require extra durability and strength, pre-fabricated homes deliver what is needed. One of these homes, when properly and purpose built can withstand even the strongest of hurricanes. Steel kit homes are very strong and very reliable. · Flexible design. Most vendors will only create the kit once a design has been confirmed and purchased. This means you can easily modify an existing standard design with minimal cost increases. Parts are fabricated inside the vendor’s factory to very high specifications. Everything will still fit together even when you have made changes to a standard design. Cons· Very basic. Some vendors only supply the absolute basics with their homes. You will still need to arrange electrical and plumbing professionals to complete the build even if you have considerable building experience. · Owner-builder beware. Too many owners think they can build a home themselves. They don’t have the experience and understanding of the complete process. It is important to understand all the legal requirements of your region. You should know what it takes to get a building permit and have the required licensing to apply for one. It is important you understand the complete building process. 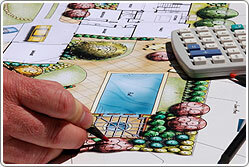 If you do not have the experience to build a complete home, it is important to work with a contract builder who does. If you make errors during construction, fixing your problems can be very costly. If you are considering a home build, it is worth considering how eco-friendly you can go. If you are in a remote location, you will greatly save on additional costs and living costs in the future, such as with electricity and water supply, if you can find self-sufficient options to include in your construction. Allowing for these extra costs is important when planning your budget. Hidden costs after construction is complete are common.